In a consult the other day a very astute little boy asked me why his rabbit only had four teeth. I was impressed by his observation skills, considering his age, but reluctantly had to tell him that they have a lot more teeth than that but they are very difficult to see without looking with a special torch. Rabbits actually have 28 teeth and their teeth are quite special, in that they grow throughout their entire life. This is very useful in the wild but unfortunately in pet bunnies can lead to dental issues. Therefore, it is very important to have your bunny on a good quality pellet diet as well as plenty of roughage consisting of a good quality hay. Bunnies love to chew…admittedly this can be a little annoying when they destroy your newly bought wooden hutch but it does serve a purpose in wearing down their constantly growing teeth. Providing them with wooden chews is a really good idea in addition to their diet. Unfortunately, even if you do everything right, some rabbits are just prone to dental problems. The most important thing to do, is to watch out for any problems and seek advice if needed. Early signs of dental pain include inappetence, drooling and difficulties in chewing – especially the harder food. Later signs include weight loss, lethargy and tooth grinding – which is also a generalised sign of pain. Please seek veterinary advice if you do see any of the above signs. 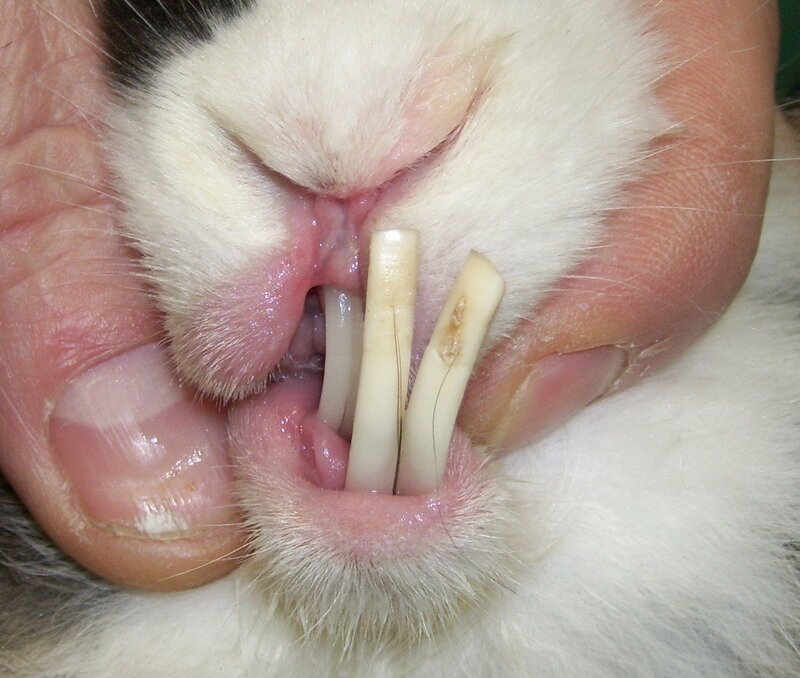 The only way to access the rabbits mouth is to look at the molars with a special scope and light. 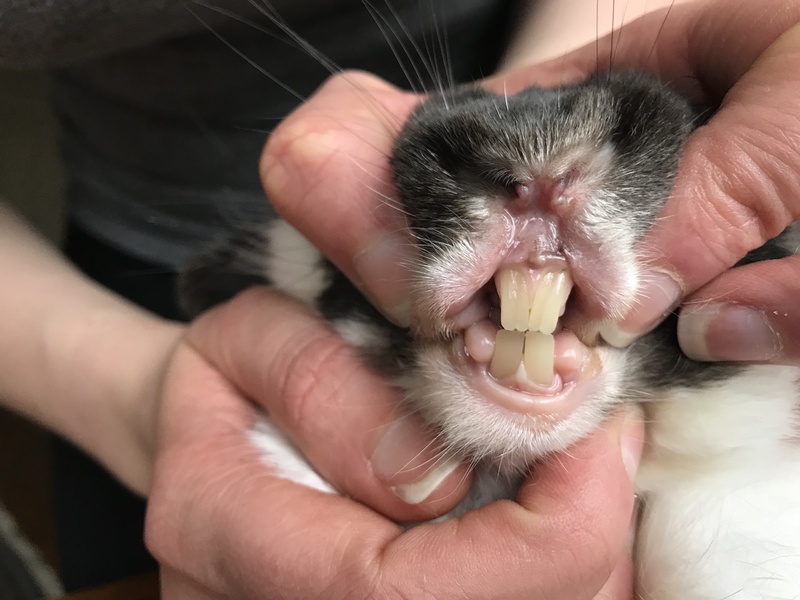 Even then, when the rabbit is chewing and conscious, it can be difficult to see the full extent of the problem but there are usually clues like spikes on the teeth or small ulcers at the side of the mouth where the teeth have been rubbing. Dental work needs to be carried out, in most cases, under general anaesthetic. This is obviously a worrisome prospect for most owners but a necessity for your rabbits’ health. It is also much easier to fully access every individual tooth under anaesthetic conditions. Once a rabbit has developed an issue, it is more likely to need repeated treatment going down the line, but don’t worry there is lots of help and advice we can give you. Please feel free to phone the practice should you need us.